The fourth ancestor in my 52 Ancestors in 52 Weeks project this year is my maternal great-grandfather, Leon Joseph DeBROUX. I’m related to Leon via my mother → her mother (Marjorie DeBROUX) → her father (Leon DeBROUX). Leon was born on 2 November 1901 in the small town of Phlox, Langlade County, Wisconsin, which is very much the near center of the state. His parents were Joseph & Mary Philomene (LAURENT) DeBROUX. He had 5 brothers all with the middle name of Joseph and 2 sisters all with the middle name of Margaret. Leon’s father passed away in 1918 in Phlox. 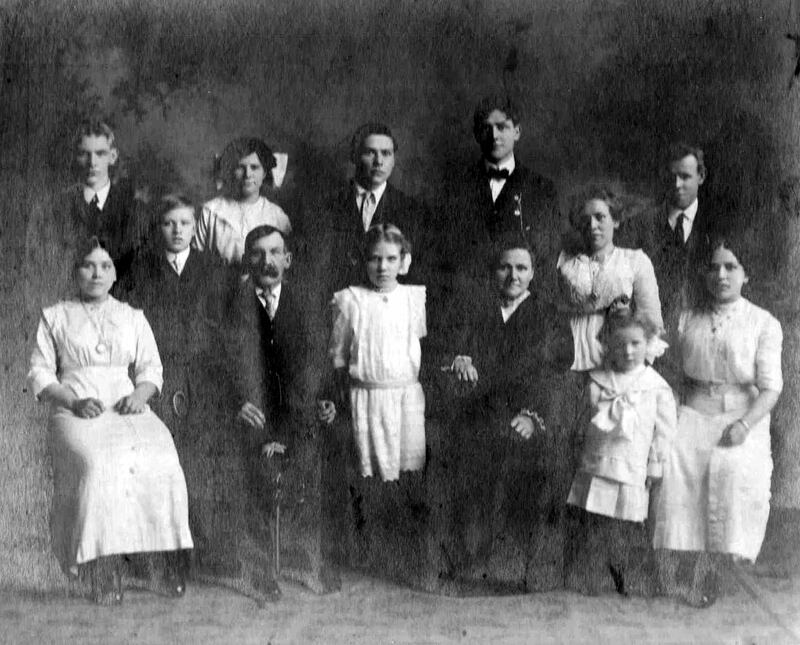 Sometime between then and 1920, the family moved to DePere near Green Bay in Brown County to live with Leon’s aunt and uncle. About a year later, Leon was back in Phlox, this time marrying a local girl, Mildred Vida VAN PRICE. At the time, he was listed as being a “cheese maker” which is a standard Wisconsin job that every boy must do*. It may have been a rushed wedding, who knows, but the couple did have a child in September 1921. Sadly, the child did not make it. Two years later in 1923, their first son, Norbert, was born. He was better know later as “Dee Bee.” In 1927, my grandmother, Marjorie, was born after the family had moved south to Port Washington in Ozaukee County, where they would stay. *May or may not be true. PORT WASHINGTON — Employees of the Harnischfeger Corporation, houses division, N. Spring St., Port Washington, voted recently to become affiliated with the Brotherhood of Carpenters and Joiners of America (AFL). Their vote was 92 for joining, 16 against, according to Leon DeBroux of Port Washington, union organizer who started on this project in May. One big thing that Leon was part of in Ozaukee County was getting the local hospital built. At the time, in 1938, there was no local hospital. Discussions were started after an accident in the area that cost the lives of five people because they had to go to outside hospitals. A few people, including Leon, met at his house in 1938 to figure out how to get a hospital built. In 1939, all of the planning came together and the building of a hospital was approved with the cornerstone being laid on November 3rd, 1940. St. Alphonsus Hosptial opened on May 1, 1941. I find it quite interesting that this hospital weaves its way through my maternal family. My great-grandfather helped get it built. My mother worked there for many, many years. I was born there, as was my younger brother. Once the hospital moved to a larger facility to the south in 1990s (I think) they converted it into assisted living apartments and a nursing home. My grandmother, Leon’s daughter, would end up living there. She also sadly passed away there in 2015. I had no idea how connected our family was until I found the article about how Leon helped get it built. I was alive while Leon was alive, until I was almost three years old. I have this strange memory of him. Sometimes you think you have memories of someone you barely knew, but it was just from a family photo or something similar. I remember being on the ground by my great-grandfather’s feet at his house in Port Washington and he was using them to play around with me. I can see it pretty clearly in my mind, the chair, his feet, the living room, everything. There is no photo of a moment like this. 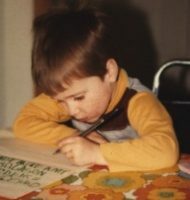 It may be one of those early childhood memories that sneaks its way into adulthood, instead of getting forgotten like most of them. I do cherish it. On 15 September 1982, Leon had a heart attack and passed away in Port Washington at the same hospital he helped build. 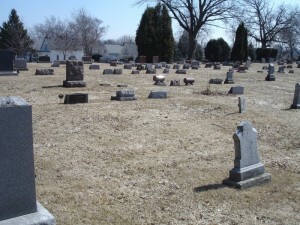 He is buried in Port Washington at St. Mary’s Cemetery overlooking the rural fields of Ozaukee County. In terms of DNA, I still definitely have DNA passed down from Leon. His mother, a LAURENT, connects me to my French-Canadian ancestry and is my connection to large family lines like the Cloutier line. I have a lot of matches on Ancestry, 23andMe, and GedMatch that I can tell are from that line. The third ancestor I chose on my 52 Ancestors challenge is my maternal great-great-grandmother, August (LUEDTKE) LAST. She holds a unique position in my ancestry as the only ancestor that I know of to have lived to at least 100 years of age. Though, she passed away 11 days (0.03 years) after her 100th birthday, but it still counts. Augusta (Luedtke) Last in 1948. As the information I found notes, Augusta Johanna Wilhelmine Luedtke was born around 3 July 1863 in Storkow, Pomerania. Her parents are listed as Carl LUEDTKE and Friederike FRITZ on her marriage record. Funny thing about Storkow is that there are many villages with this name in old Pomerania, which is around modern-day northwestern Poland. There are at least 3 according to Kartenmeister. Fortunately, a lot of the church records for Pomerania are available digitally on FamilySearch. I’ve looked through a lot of them record-by-record in the vicinity of these towns with no luck, so the search continues. It’s one of those nagging brick walls that I always come back to since I feel that I’m very close. According to census records, she emigrated to the US sometime around 1881-1882. This would make her about 18-19, so it’s hard to say if she came with her family or on her own, but I have found information on a sister living in Wisconsin, so that’s another avenue of research. This is also in that fuzzy area since the 1890 census is missing and by the time I find her in the 1900 Census, she is married and has had 11 children. Some of my next steps are to dig into Milwaukee records from this time as she was married there. On 25 February 1883, she married Charles Carl LAST in Milwaukee. They soon settled in Grafton, Ozaukee, Wisconsin and, according to an 1892 Plat Map, they lived on a farm close to the town of Port Washington. Charles and Augusta were experts in the field of creating children as over the course of 25 years, they had 16 of them. My great-grandmother, Madora, was born in 1898. A few of them did not make it through childhood, but a lot of them went on to have full lives and create many, many cousins for me to connect with. I actually met a 3rd cousin from this family line through a match over on 23andMe and we’ve shared some information, including the first family photo I saw of this family. Augusta’s husband died in 1926 soon after they moved out of the rural area and into a house in the City of Port Washington, right near the high school. After she had trouble getting around she moved in with some of her children, including my great-grandmother, where she was when she passed away. She lived long enough that my mom can remember things about her. 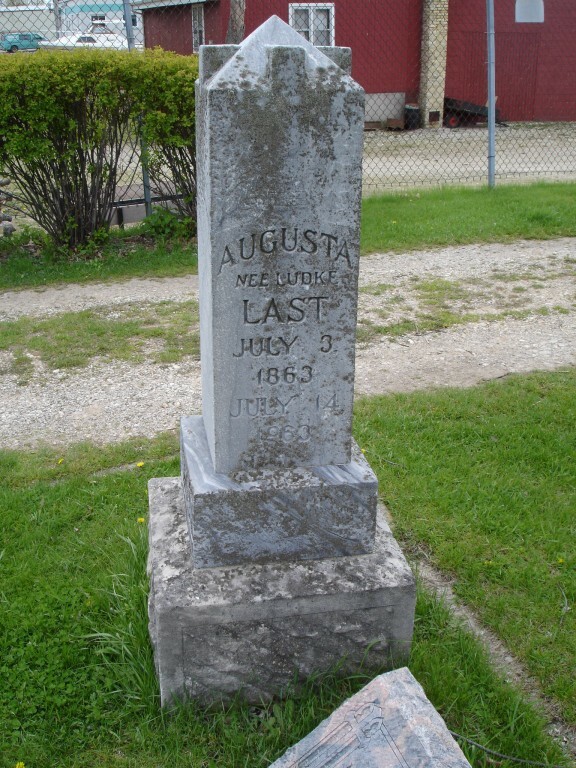 Augusta passed away 11 days after her 100th birthday on 14 July 1863 and is buried with many of her family at Union Cemetery in Port Washington. This post is 3 of 52 in the “52 Ancestors in 52 Weeks” Challenge” begun by Amy Johnson Crow. So, using the speed and power of the Internet, I come bearing updates. While I didn’t completely solve the original issue, I still don’t know who is in that photo, I did confirm that is it not the Charles & Augusta Last family. But, I also now have a copy of a family photo of the real Last family that I had originally hoped for. As I said in the original post, I sent the photo off to a Facebook friend that I connected to via a 23andMe Relative Finder connection. She sent it to her mother and family and they also ruled out the photo due to the ages of the children, etc, but then they sent a scanned version of the Last family’s photo. See it here. It’s the best quality scan, mainly because they did it quickly for me. It also turns out that the original photo is in possession of someone in a town in the same county that I live, which I assumed since the family lived there. It also turns out that it’s at the same Senior Apartments that my grandparents are currently living. So, soon I hope to make a visit, bring my FlipPal over there, and get a nice scan for myself. This family lines up much, much better with the kids. I definitely see Augusta in this mother’s face. 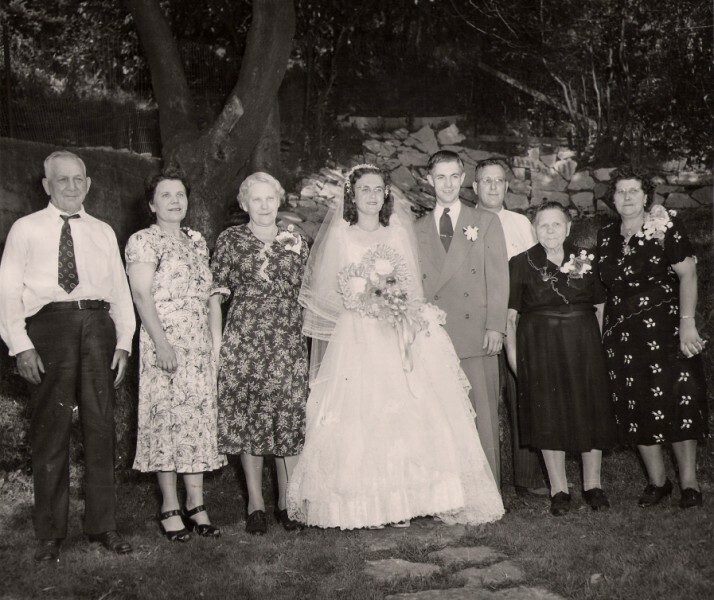 My great-grandmother, Madora, is obviously the one in the back with the big, white bow in her hair. Also, the twins are there on both sides of the front row. I do have to say that I think Charles looks much cooler in this one than the other one, I mean look at that massive mustache. Doing a bit of guessing based on ages, my guess is this photo was taken around 1912-1913. As for the original photo, I still think it looks strikingly similar to Augusta. It is possible that it is her sister’s family. Or maybe it’s a completely different family. This is the life of a genealogist. 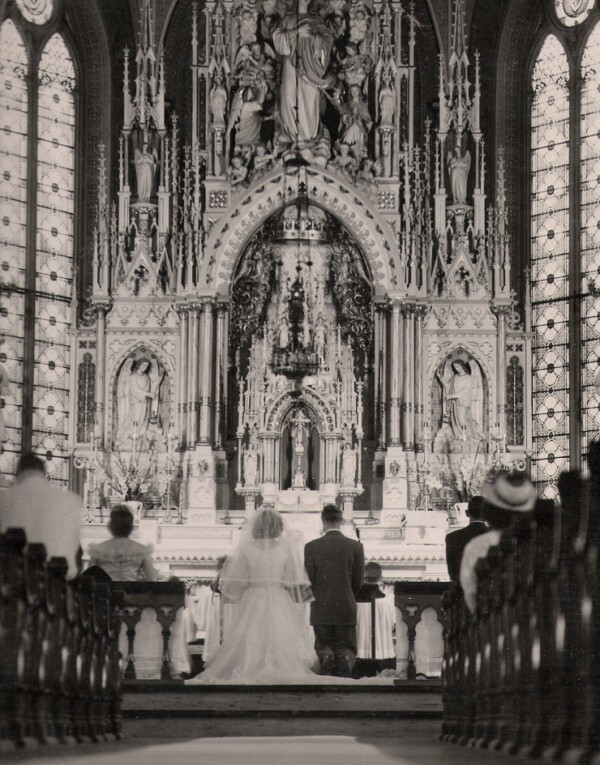 This is a photo from my grandparent’s wedding on August 28, 1948 at St. Mary’s Catholic Church in Port Washington, Wisconsin. The church is known for it’s large decorations and ceiling. It’s also frequently painted along with downtown Port Washington as it sits on a high hill overlooking the downtown area. You can see it in the third photo down on this page. 1671 – Married – Nicolaes van CRAYBECK & Helena WAGEMANS – Nicolaes and Helena are my 9th-great-grandparents on my mother’s side. They were married at Kuringen, Belgium. 1732 – Died – Louise DEGUITRE – Louis is my 8th-great-grandmother on my mother’s side. She was born 5 Aug 1667 in Cogne, Aunis, France. She married Jacques Robidas dit MANSEAU in 1692. She passed away at Baie-du-Febvre, Yamaska, Quebec, Canada. 1692 – Married – Alexis RICHARD & Claudine LANGLOIS – Alexis and Claudine are my 9th-great-grandparents on my mother’s side. They were married at Neuville, Port Neuf, Quebec, Canada. 1736 – Died – Vincent DUCHARU – Vincent is my 8th-great-grandfather on my father’s side. He was born about 1660 at Menoux, Haute-Saône, France. He married Claudine HANRYOT in about 1670. They had 6 children, including my ancestor, Anne Françoise DUCHARU. He passed away at Menoux, Haute-Saône, France. 1697 – Died – Guillaume PEPIN – Guillaume is my 10th-great-grandfather on my mother’s side. He was born about 1607 at St. Laurent, Saintonge, Xaintes, France. He married Jeanne Mechin dit DE FRONTIGNY in about 1645. He passed away at Trois-Rivieres, St. Maurice, Quebec, Canada. 1715 – Died – Marie Madeleine ROUSSEL – Marie is my 8th-great-grandmother on my mother’s side. She was born 23 Nov 1676 at Trois-Rivieres, St. Maurice, Quebec, Canada. She married Gabriel BENOIT on her birthday in 1693. She passed away at Baie-du-Febvre, Yamaska, Quebec, Canada. 1715 – Married – Pierre LAFOND & Marie Jeanne LEFEBVRE – Pierre and Marie are my 8th-great-grandparents on my mother’s side. 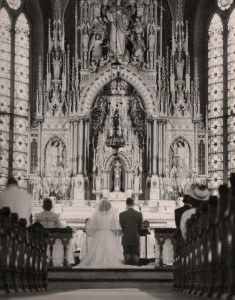 They were married at Batiscan, Champlain, Quebec, Canada. 1977 – Died – Sister Mary Clarentine TROKA – Sister Mary was born Frances TROKA on 31 Mar 1910 in Milwaukee, Wisconsin to Joseph and Clara (SZULTA) TROKA. She is my 3rd-great-aunt on my father’s side. She took her first vows on 2 Aug 1935. She passed away in Wisconsin in 1977. 1782 – Born – Pierre-Jean QUINET – Pierre-Jean is my 5th-great-grandfather on my father’s side. He was born at La Paroisse de Contréglise, Département de Haute-Saône (Franche-Compté), France. He married Marie-Francoise GRANGIER in 1811. They had 9 children including my ancestor, Claude-Françoise, who was also known as Francesca. They immigrated to the United States first settling in New York. They made their way to Canada where their daughter, Emilie-Francoise was born. According to research, they made their way to Wisconsin in about 1844. They are found in the 1850 census in Mequon, Ozaukee Co., Wisconsin and then in 1860 they are found in Fredonia, Ozaukee Co., Wisconsin. Pierre-Jean passed away on sometime between 1860 and 1870, presumably in Wisconsin. 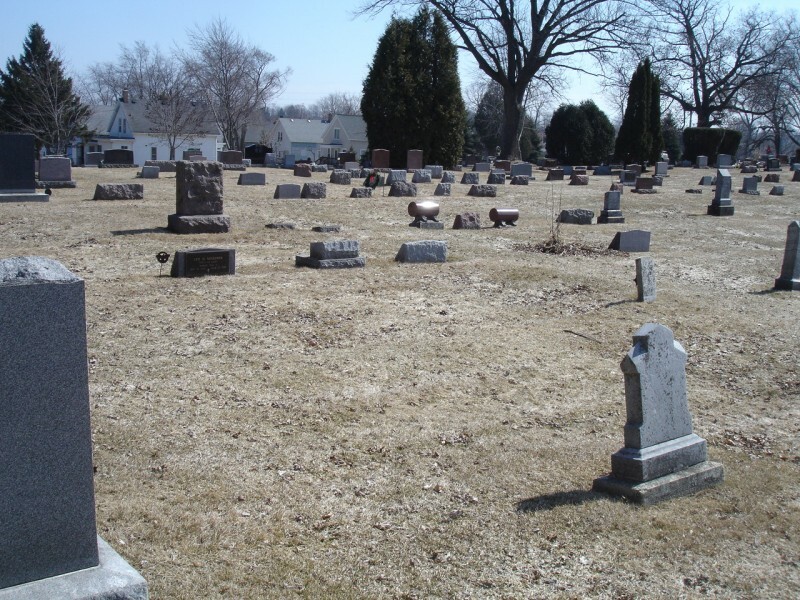 1872 – Died – Johann W G LAST – Johann is my 3rd-great-grandfather on my mother’s side. He was born about 1820 in Prussia. Between 29 Mar 1865 and 14 Jun 1866 he was stationed with Company K, 50th Infantry Regiment Wisconsin during the civil war. He passed away in Ozaukee Co., Wisconsin and is buried with a soldier’s headstone at Union Cemetery in Port Washington, Ozaukee Co., Wisconsin. 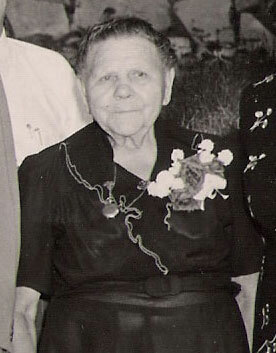 1853 – Born – Nepomuncema SYLDAKT – Nepomuncema, also known as Annie, is my 3rd-great-grandmother on my father’s side. She was born in Poland (Austria) according to census records and also wins the strangest name award in my family tree. She married Ignatius SZULTA in about 1870. Her name always confused me until I ran across this entry at Wikipedia on John of Nepomuk, whom I assume the name comes from. 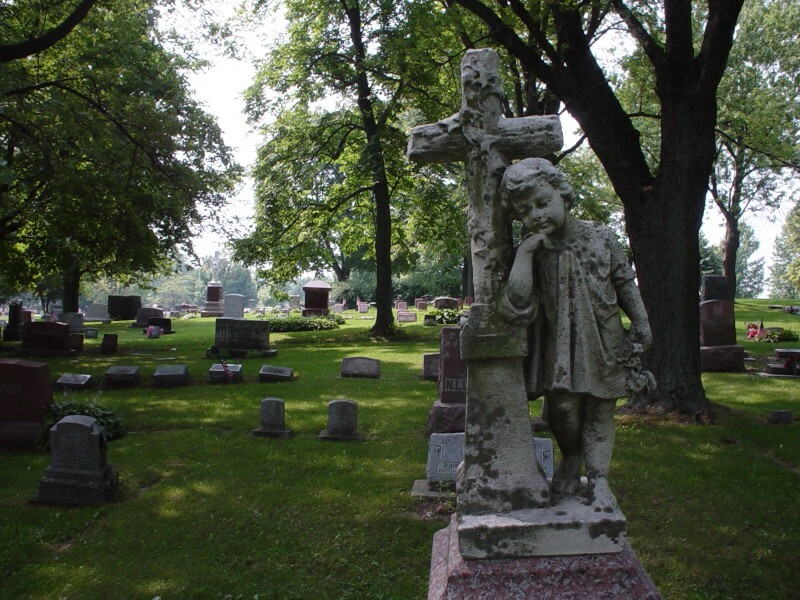 She passed away on 22 Dec 1925 at Milwaukee, Wisconsin and is buried there at Holy Cross Cemetery. 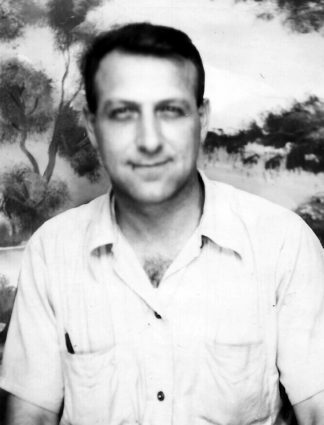 1981 – Died – Joseph Frank ZALEWSKI – Joseph is my great-grandfather on my father’s side. He was born October 1892 in Milwaukee, Wisconsin, the first boy of his parent’s 5 previous children. 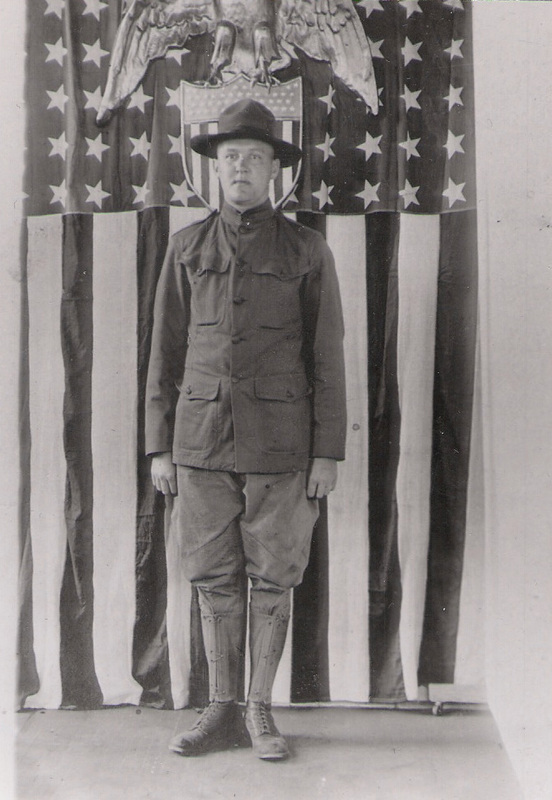 In 1917 he registered for World War I and was stationed with the 86th Division, Company B, 331st Machine Gun Battalion as I found out in my previois research. When he returned he married Emily TROKA and became a Milwauke City Police Officer until he retired in 1951. He passsed away at Cedarburg, Ozaukee Co., Wisconsin and is buried at Holy Cross Cemetery in Milwaukee. This week brings another random cemetery shot. For every photo of an actual headstone from my family tree, I have dozens of generic cemetery photos. 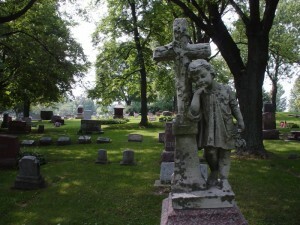 This photo is from St. Mary’s Cemetery in Port Washington, Ozaukee Co., Wisconsin. [Find-a-Grave link] My great-grandparents Leon & Mildren (Van Price) DEBROUX are buried here along with some of their other family. It’s situated in some trees and on a hill facing west. When you come into Port Washington on Interstate 43, you can see the hill in the distance. This is one of the newest photos I was able to scan. I finally got some photos from my mother’s side and this one was a good one since it has 3 generations back starting from my grandparents. This was taken in 1948 on my grandparent’s wedding day. The names from left to right: my gg-grandather Peter VAN PRICE (Van Parijs), my great-grandmother Mildred (VAN PRICE) DEBROUX, my gg-grandmother Minnie (MUHM) VAN PRICE, my grandmother Marjorie (DEBROUX) THIELKE, my grandfather LeRoy THIELKE, my great-grandfather Leon DEBROUX, my gg-grandmother Augusta (LUEDTKE) LAST, and my great-grandmother Madora (LAST) THIELKE. Peter THIELKE was my 3rd-great-grandfather on my mother’s side. Peter came to America with his wife Marie (maiden name unknown) sometime between 1854 and 1856. I figured this since their son Charles “Fritz” was born in 1854 in Germany and their son Herman was born in Wisconsin in 1856. Their second son, Johann, was my 2nd-great-grandfather. They settled in Grafton, Ozaukee Co., Wisconsin and lived there for the rest of their lives. Peter and his wife Marie are buried at Union Cemetery in Port Washington, Ozaukee Co., Wisconsin. 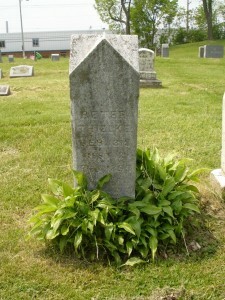 Headstone of Augusta Johanna Wilkelumire (Luedtke) Last. She wins for having the longest name of my ancestors and for living the longest. Augusta died just shy of two weeks past her 100th birthday. I posted about an article in the local paper mentioning her 100th birthday. The headstone is located in Union Cemetery in Port Washington, Ozaukee Co., Wisconsin. It’s also near her husband and also some of her children and extended family.